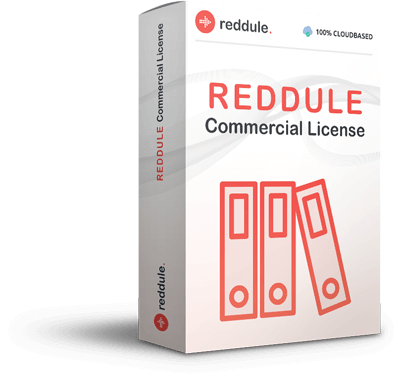 GET COMMERCIAL ACCESS TO REDDULE NOW! 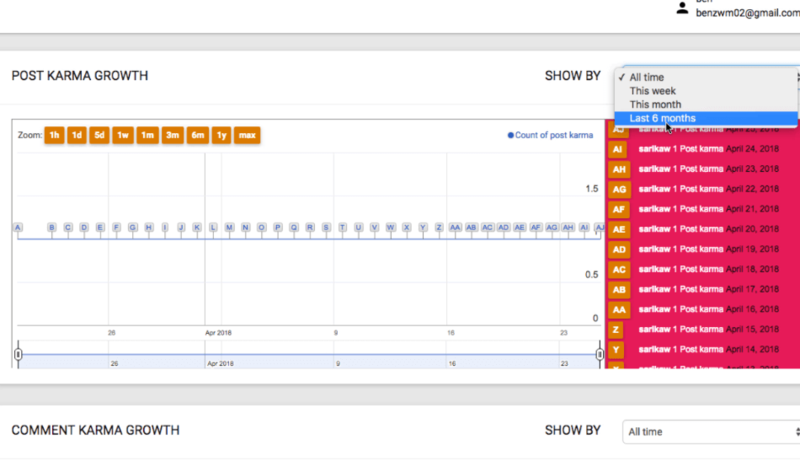 PPC - is becoming far more expensive and now requires you to have a large backend funnel to stay profitable. BLOGGING is super saturated, slow, and unpredictable. 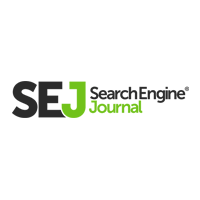 when it comes to getting traffic for small to medium-sized businesses. place to run ads or post content in 2018! and now are deliberately making your posts invisible to their users forcing you to SPEND MONEY on ads instead due to competition. So, is there any reliable, easy solution for traffic and leads for small biz anymore? and brand new Instagram accounts get thousands of followers. Reddit is now the 3rd ranked Alexa site and has a higher time-on-site than all other networks including Wikipedia, Amazon, Facebook, etc. It's the one place not saturated by other major corporate companies and never will be due to how it was created with its strong sense of community. When done the right way, posting to Reddit can IGNITE your views, likes, shares, followers, leads, and sales like nothing else. It’s like a match on gasoline. 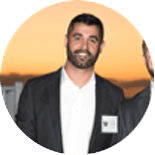 Turning your “invisible” YouTube videos, blog, Facebook posts, and more into a hornet’s nest of free traffic. 625 signups for a brand-new product in 9 days! able to get 625 signups in only 9 days using Reddit. 1,545 free visitors in 1 day! visitors from Reddit in just one day! Reddit became a steady, reliable source of traffic for Ryan, without spending a dime on Reddit ads, or any other paid ads. 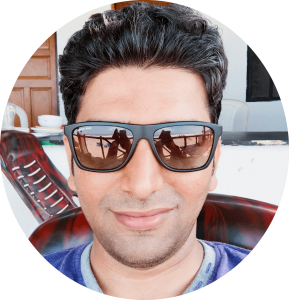 Today, his blog averages 200K monthly visitors. Reddit is an untapped goldmine for free traffic! "Reddit attracts more than 174 million unique monthly visitors actively looking for news, tips, products, or entertainment, which you are missing out on"
All you gotta do is share good content on a regular basis — whether it’s your own, or somebody else’s. The more awesome content you share and the more times you comment thoughtfully, the more “upvotes” you get and the more Karma points you rack up. 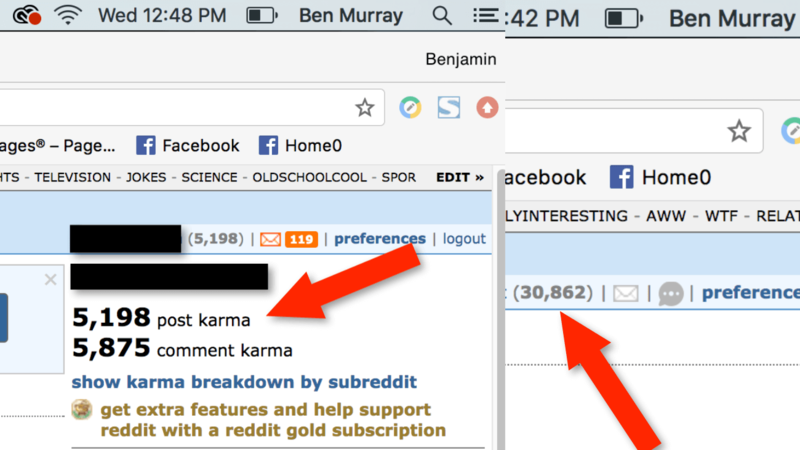 With a high Karma score people on Reddit now trust you and when you’re ready to post a link to your own offers and websites they click like crazy, make easy sales, and even help you go viral in many cases. Big businesses don't get this and are often quickly banned from Reddit for not following their etiquette leaving it wide open for those who know how to play by the rules and don't just want to flood the platform with spam and promotions. #1 — It’s hard to know what to post for maximum clicks, upvotes, Karma, and trust. Researching Reddit can be time-consuming, awkward, confusing, and distracting for a one-man team. #2 — It’s hard to post at the right time. Most subreddits have certain times when they get the most eyeballs. This means you need to stay up late, get out of bed early, or set reminders during the day to post at the right time to get any traffic at all. Plus, it's time-consuming to monitor every subreddit and every thread all day long for great opportunities to comment with a link to your content or offers where it makes sense. #3 — It's hard to post as much as you need to. You need a continuous flow of quality posts sprinkled in with offers to a variety of subreddits to get serious traffic. Problem is, there's no quality content finding and scheduling solution that can help you create and build schedules to post to specific subreddits. #4 —Sharing stuff on Reddit can backfire if your Karma is too low, because people ignore low Karma posters. Keeping track of your Karma is tricky and easy to forget. They know they need to keep sharing great content and comment where it makes sense to build their Karma points, win trust, and get traffic — but, it’s just too much hassle to research, manually post and keep track of everything. while simultaneously protecting your reputation and Reddit 'Karma'! Reddule is a total solution for providing targeted traffic and leads businesses can count on longterm to make sales with. It's is divided into two parts, a step-by-step training program and groundbreaking automation software. Inside this 9 module HD video and audio program you'll learn our biggest secrets to crushing it on Reddit in a detailed, step-by-step blueprint. Our proven Reddit funnel — Once you set this up, you can potentially 3x your conversions using this simple "viral" funnel. Reddit PPC - Leverage Reddit's giant, yet largely unsaturated, PPC network to get thousands of views for just pennies on the dollar. 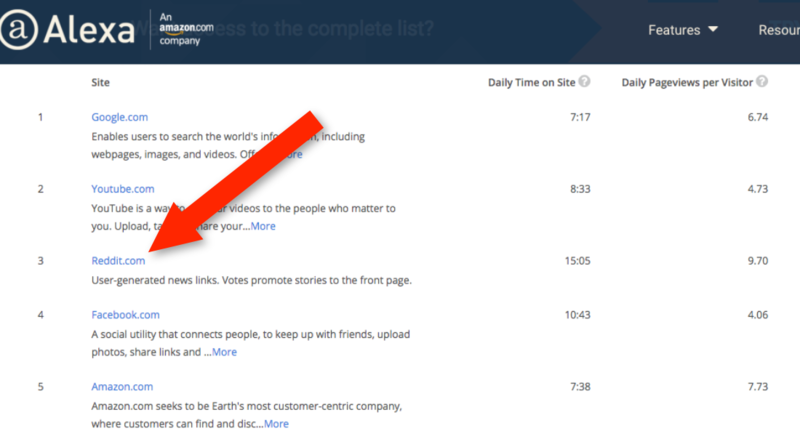 It's integrated on Teachable.com so it's easy to follow the training, mark your progress, and take notes. Reddule is It’s a groundbreaking solution that finally "cracks-the-code" for passive traffic and leads from Reddit in any niche while fully being in compliance with Reddit's API. Make sure your Reddit "Karma" is high at all times so your scheduled posts and videos are guaranteed to get tons views and avoid getting down-voted..
Not sure what subreddit to be tracking, analyzing, and posting to? 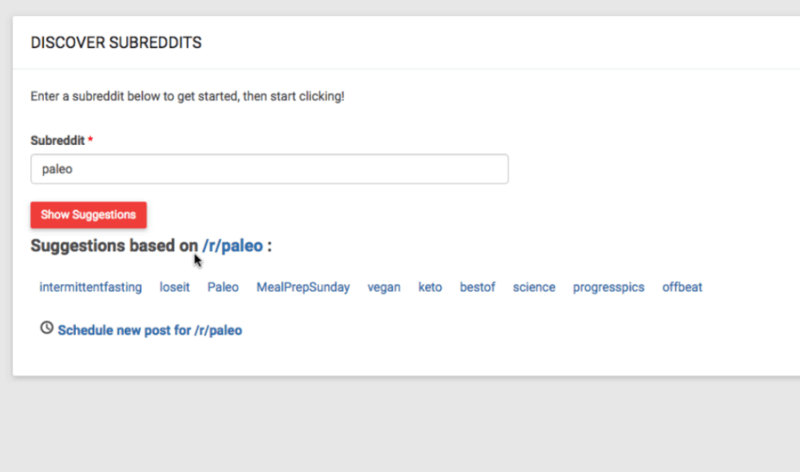 Use the Reddule "Research" tab to find the most relevant and unsaturated subreddits in your niche. can profit from Reddit regardless of budget or niche they are in. Reddule is a 100% whitehat Reddit app that fully uses Reddit's API. 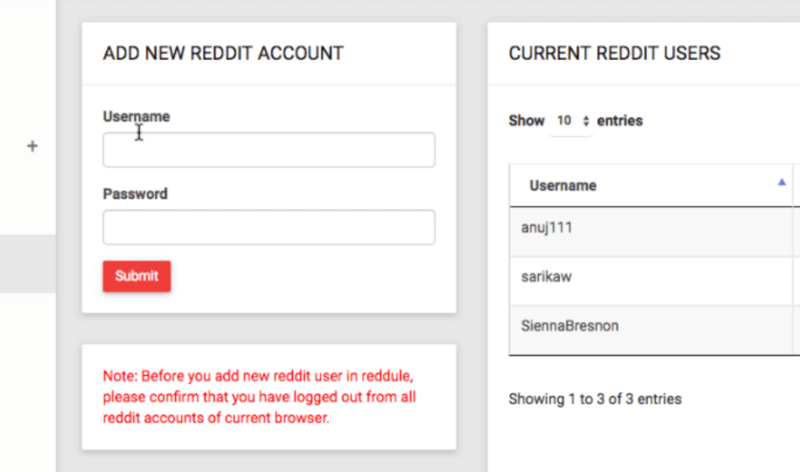 Your Reddit accounts are fully safe when using Reddule. 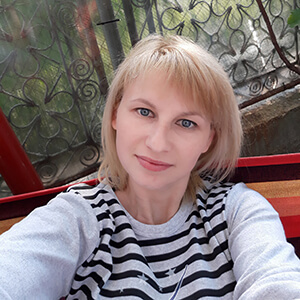 "...consistent traffic to my blog now"
"I struggled on saturated social networks and wasted lots of money on other tools that haven't had any dramatic difference in my traffic. But, I tested Reddule and it has literally helped me within a few days get consistent traffic to my blog. Reddit really is a goldmine if you know what you’re doing and Reddule combined with the training gives you everything you need to succeed!! ." 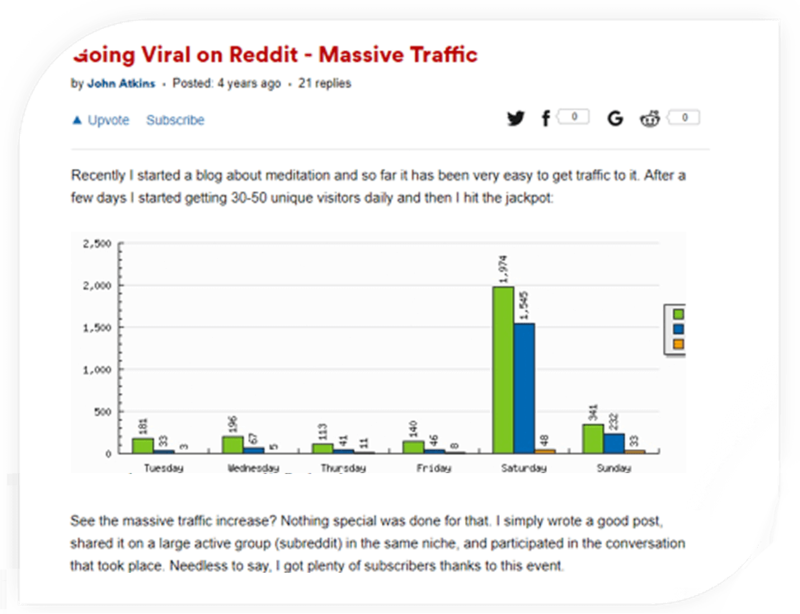 "...the best lead generation tool"
"I never thought that Reddit had so much potential for driving traffic; however, after trying Reddule, I was very wrong. I think that it is the best lead generation tool for Reddit and maybe in general right now. It is very easy to use , especially with keywords on specific subreddits, communities and threads. The UI was very pleasant and did not lead to any frustration from me. In a time where these tools are coming out every few months, I would recommend getting this tool at the price it is now. If you are looking for more traffic (which you always should be) I recommend Reddule.."
"This is the #1 app for fast and effective traffic and leads today. It’s a struggle to get traffic from other networks even with quality content today. But, from Reddit using Reddule it’s far easier. 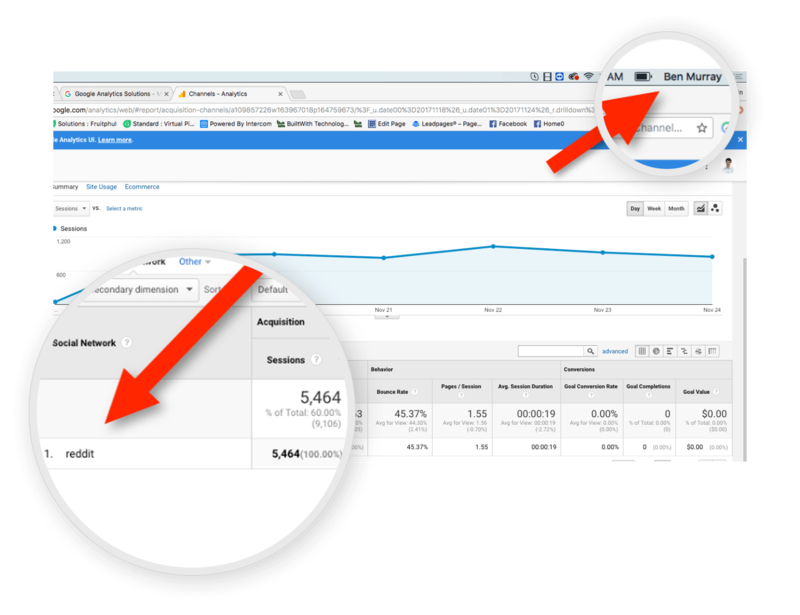 In fact, we were able to generate 1000+ visitor in just a week of testing using the training and app. 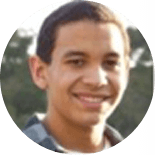 Wow"
With our training you'll learn our secret "Reddit Funnel" which will show you how to get handsfree traffic from Reddit, build a list from it, and sell your information product to your hyper-targeted leads. 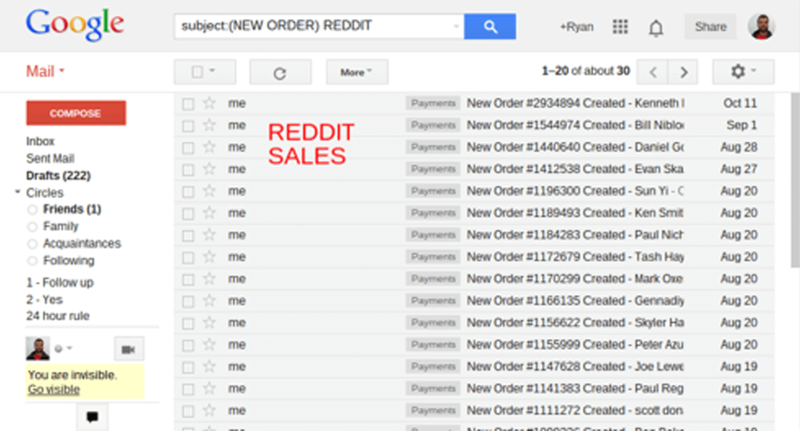 Reddit and eCommerce go hand-in-hand. In fact, many new Shopify and ecom store owners get their first sales from Reddit and Reddit PPC which you'll see exactly how to do. who need traffic right now… today. They’ve been burned by PPC, screwed by Facebook, and are sick and tired of SEO... whether they are "brick and mortar" type stores or even online based ecommerce ones. They’ll pay BIG BUCKS for somebody like you to help them crack Reddit and drive hundreds of free visitors to their offers each day. 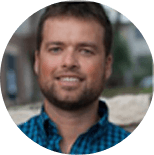 With your Reddule Commercial License you can flood your client’s website with traffic all day long by uncovering and sharing surefire content that gets tons of traffic in their niche — on autopilot! and you send him 20 new leads per week from Reddit. 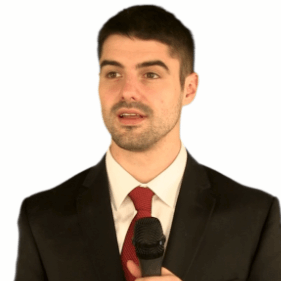 That’s $100 per week for ONE CLIENT… and just 20 leads. With 5 clients — that’s $500 per week. With 10 clients — that’s $1000 per week! And that’s before you’ve started upselling your other offers! or as a perfect side income for your existing businesses. 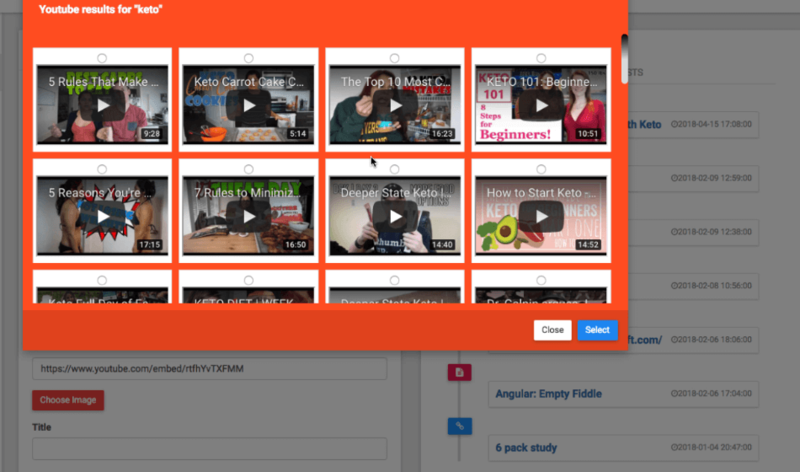 Let Reddule find red-hot content for you (including trending videos) that will work... and BOOM… watch your upvotes, Karma points, and traffic shoot through the roof! People don’t care if you didn’t create the content you’re sharing on Reddit. They will still upvote your post and give you Karma points to thank you for sharing it if they found value in it! With Reddule you can automatically uncover and share cool content on autopilot saving you hours of backbreaking research! 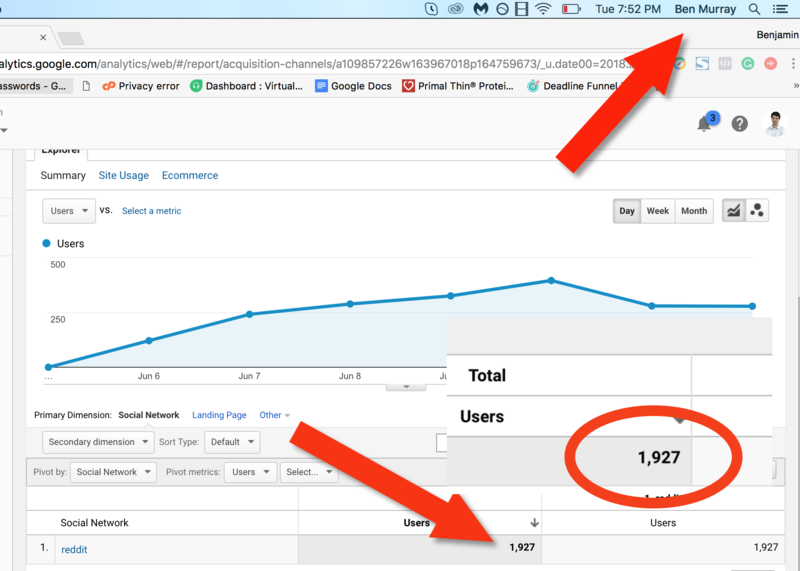 As your Karma points grow, start posting your own content and watch your traffic explode! DON'T DO THE SAME THING EVERYONE ELSE IS! Most marketers are KILLING themselves trying to get traffic from saturated networks like Facebook, YouTube, Twitter, and Instagram spending months trying to get attention, clicks, subscribers and sales… and failing miserably. Why is it so hard? It's because these places are overcrowded and full of people who are there to socialize, not BUY. Plus, most of the "gurus" selling tools and courses can't get results themselves either. Reddit is not just a social network — it’s really a collection of niche forums, places where passionate people go to read about their favorite thing. To LEARN stuff. You're not just targeting someone who 'liked' a page at some point, you're targeting someone currently immersed in that topic on Reddit! Now YOU can get in front of them by sharing awesome content they’re practically guaranteed to love while winning their trust, respect, and wallets. Every day, thousands of marketers get ignored, laughed at, or even banned from Reddit. Why? Because they just dive in and post self-promotional content. If you want people to click links to your offers you need to win their trust, build your Reddit "Karma", and add value. How do you get Karma points and trust? Keep posting and sharing awesome content in your subreddit all day long. Until now, that would take a ton of time, guesswork, and energy. There’s no excuse — now you can have all the traffic and sales you need. Just use Reddule to automatically uncover and post PROVEN content that people will love and upvote… build your Karma… win people’s trust… and get insane exposure for your own stuff, too. 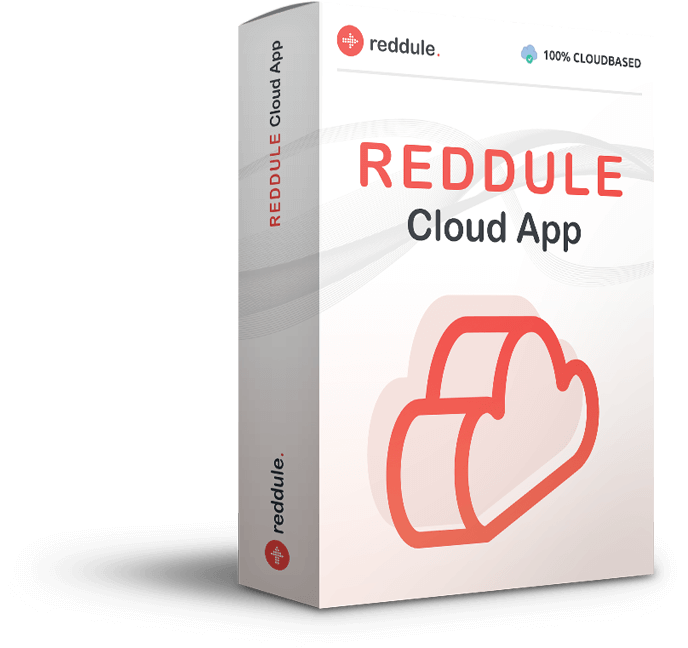 So, how much is the Reddule Cloud App and the Reddule Traffic Training worth? To be honest, quite a lot. 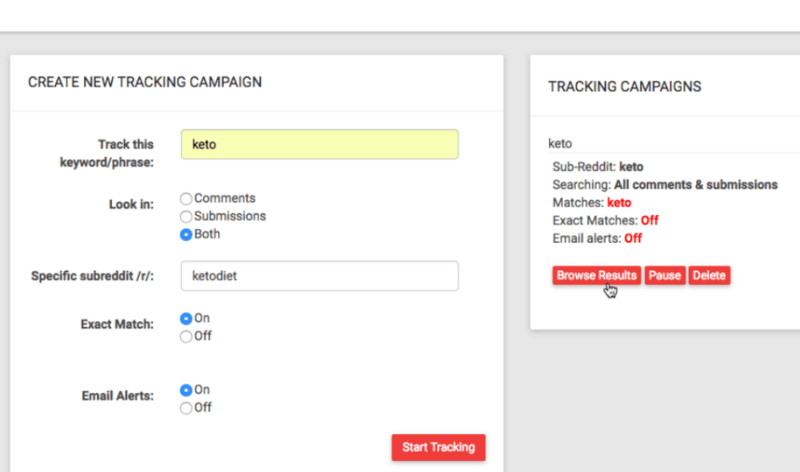 As of today, Reddule is the ONLY approved solution with Reddit that can do keyword tracking, tell you when to post, track Karma, and far more. Even if you throw out the Karma analytics, viral video features, and "Best Time to Post" feature you're looking at $97 per month. And that doesn't include the Reddule Traffic Training, arguably the best Reddit traffic course created today, which walks you through step-by-step on how to get the traffic to guarantee you have success, a $497 dollar value. However, you can get access to far less for a special "founders" discount today only for a price you won't believe. Plus, we're taking on all the risk. 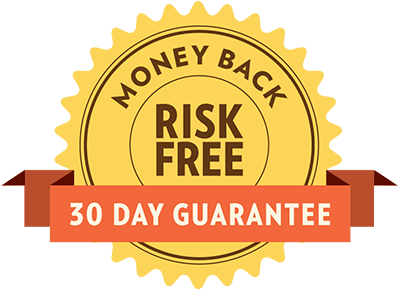 Your investment is fully protected with a 30 Day Reddit Traffic Guarantee. We want you to use Reddule right now and over the next 30 days see how quick and easy you can start getting free traffic. See how easily you can build Karma by finding and posting proven content that gets tons of upvotes and wins trust in your niche. See how your posts get tons more attention, clicks, leads and sales for your own offers by finding opportune places to comment ahead of other users. And we guarantee, if Reddule doesn’t help boost your traffic and sales within 30 days or sooner… you won’t pay a single dime. If we continued to sell Reddule for the price it's at today, our business wouldn't make money. We're offering a huge discount just to get a spike of users and more testimonials when we sell it for a higher price later. Commercial License before it’s too late! 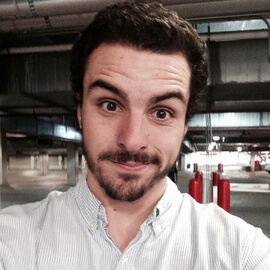 P.S — Remember, Reddule takes the guesswork out of Reddit (and marketing in general). It shows you exactly what type of content is getting upvotes and going viral… so you never have to guess what to create or share for your own business. 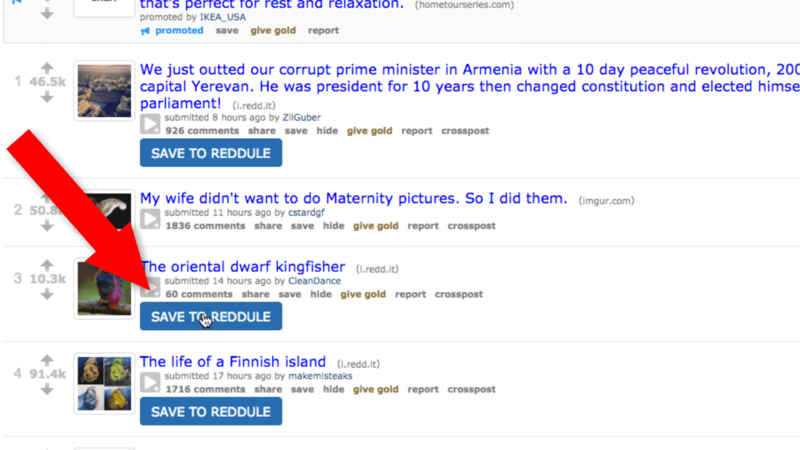 Just log in, choose a subreddit, then let Reddule automatically find, schedule and post red hot, proven content to that subreddit for you… building your Karma points and giving you insane exposure for all your future posts. Just tap into content that’s getting hot on Reddit, save it to your Reddule app, and then come back to it when you’re ready for fresh ideas or want to share it for instant upvotes and Karma points. Once you have some Reddit Karma, you’re ready to share your own content. 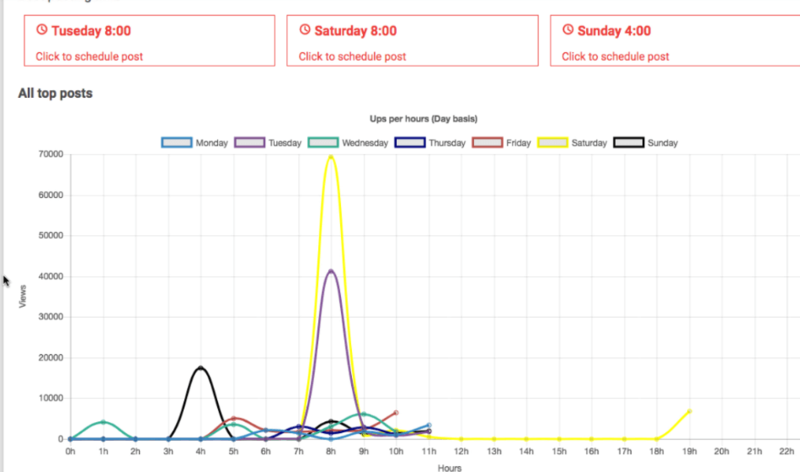 Just load up your auto scheduler and Reddule will post it to Reddit at the busiest times of day, even if you’re sleeping on the other side of the world! Hit the order button right now to secure your copy of Reddule, along with your agency license, before we raise the price, or completely close this offer down at the end of our launch! What all am I getting in my purchase today and what's the difference between Personal and Commercial? Ans. 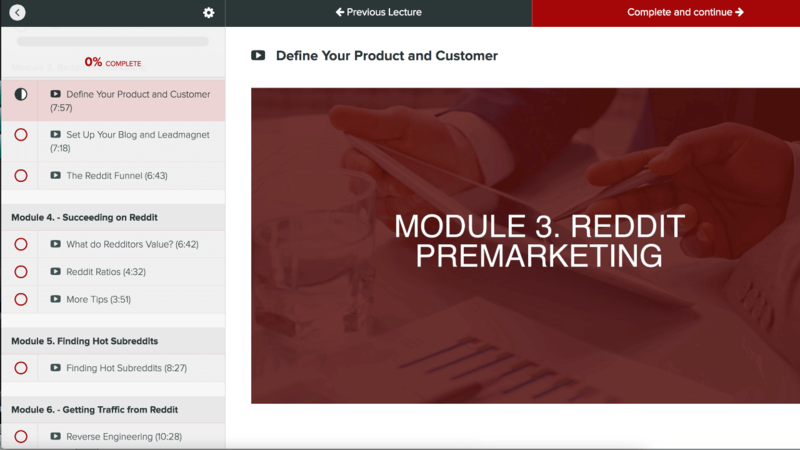 — If you get the Commercial License to Reddule, you'll get access to the Reddule Traffic Training with downloadable audio and video, access to the Reddule Cloud App V. 1.0 with all the features outlined on this page. 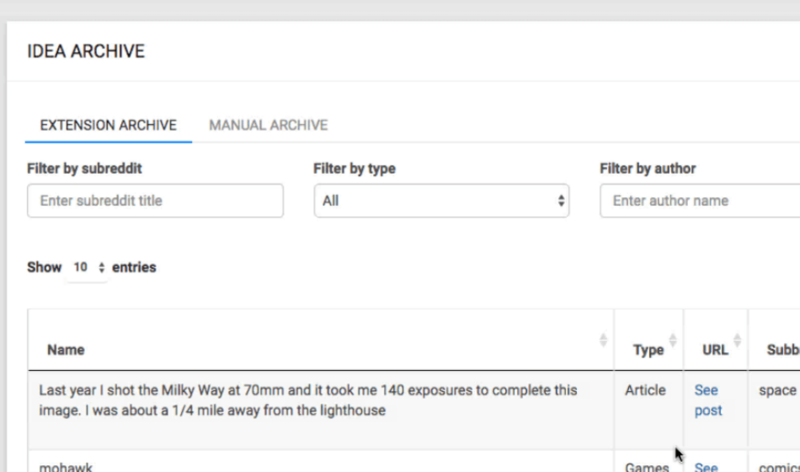 With the Commercial License, you'll be able to schedule 1000 posts per month, research 2000 trending videos per month, run 5 keyword tracking campaigns at a time, and store 500 traffic and subreddit ideas in the Reddule archive section. 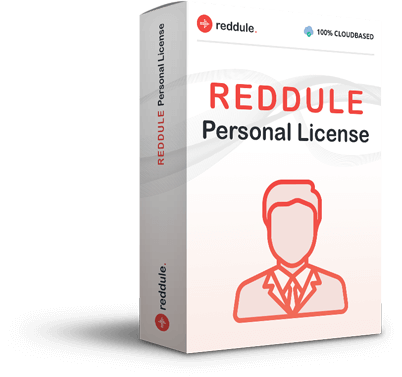 With the Personal License, you'll get access to Reddule Cloud App V 1.0 but you can only use this for your own personal Reddit account, schedule 500 posts per month, research 1000 trending videos per month, run 3 keyword tracking campaigns, and store 300 traffic and subreddit ideas in the Reddule Archive section at a time. Ans. 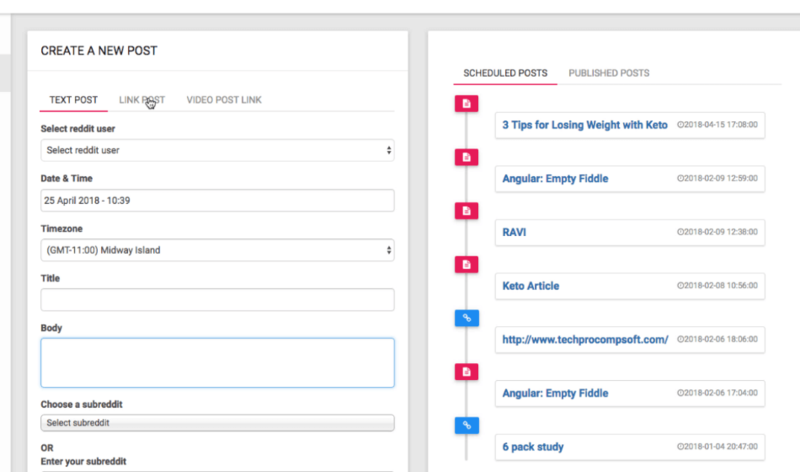 Reddule allows you to save time and confusion by building content schedules of link posts, text posts, and videos (the first ever) and get reminders when it's time to post. You still need to log in and post manually, as all social networks will be moving in this direction so we don't want to promise one thing, then change it on you a few months later. Ans. Don't worry, we don't play games so what you see is what you get. 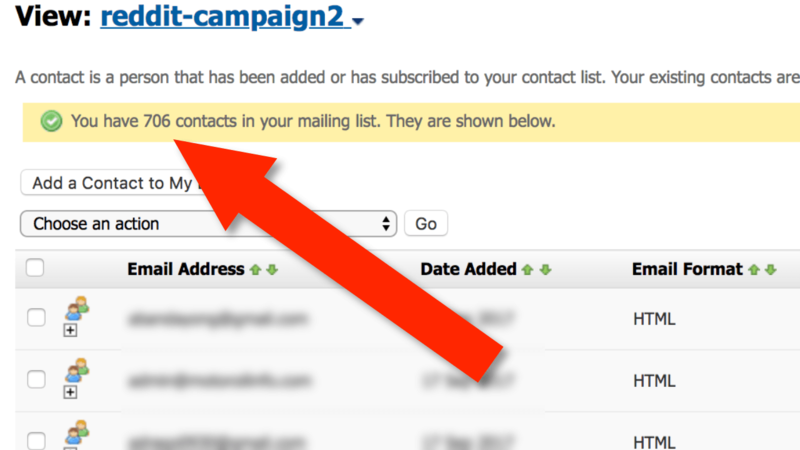 You don't have to spend money on an OTO offer to have major success with this Reddule. There are OTO offers to unlock more features if needed and rights if you are interested which you can see after buying. I've had poor support from some vendors on JVzoo in the past. Is this app well supported? Ans. — Absolutely! 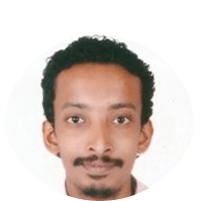 The developers of Reddule, Harshal and Rohan, have a history of maintaining software and quickly answering support tickets. Plus, if for any reason Reddule doesn't work out for you, there are no games so you'll get a prompt and fair refund. Ans. 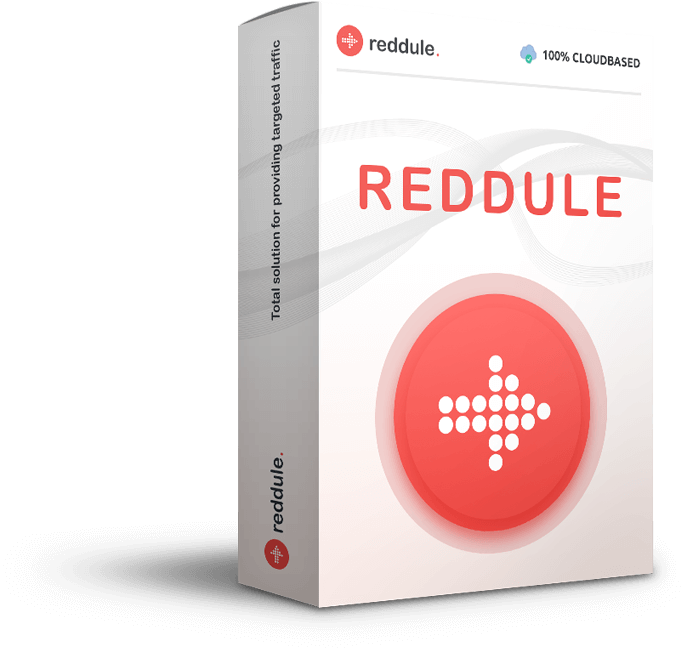 — Reddule is dead simple to use, but we've included detailed training video to get results. These are in addition to the Reddule Traffic Training course which is an entire comprehensive training on how to succeed with Reddit by itself. You'll also get full support to version this version of Reddule with no monthly fee payments currently. 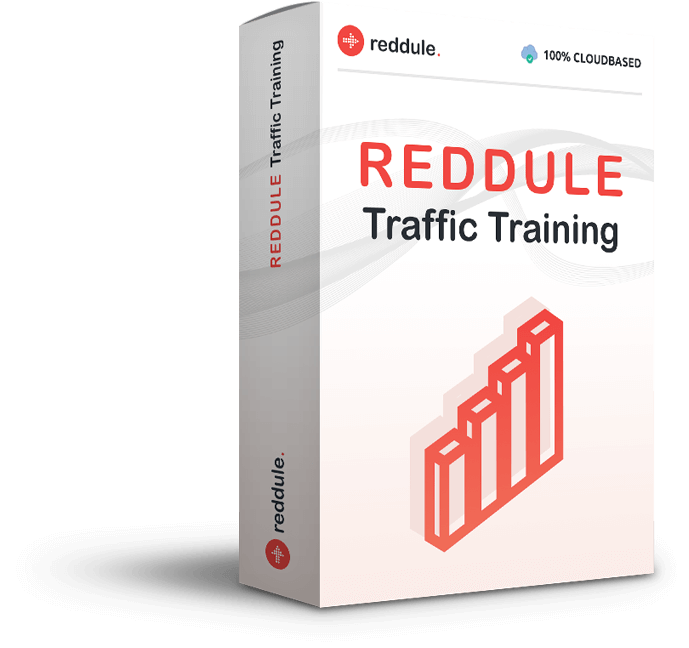 Lock in your access to Reddule and Reddule Traffic Training right now before the next price increase!